A frequent performer in both Europe and the United States, John Moore is garnering praise for his energetic performances and burnished baritone in both operatic and concert repertoire. A graduate of the Metropolitan Opera’s Lindemann Young Artist Program, his 2017-2018 season includes a return to Seattle Opera as Figaro in Il barbiere di Siviglia and role debuts of Hannah Before in As One with Des Moines Metro Opera and Johannes “Pa” Zegner in Proving Up with Opera Omaha. He also returns to the Metropolitan Opera to cover Papageno in The Magic Flute and Belcore in L’elisir d’amore. He finishes the season by joining the Glyndebourne Festival as Achilla in Giulio Cesare. Future seasons include performances with Seattle Opera and Dallas Opera. 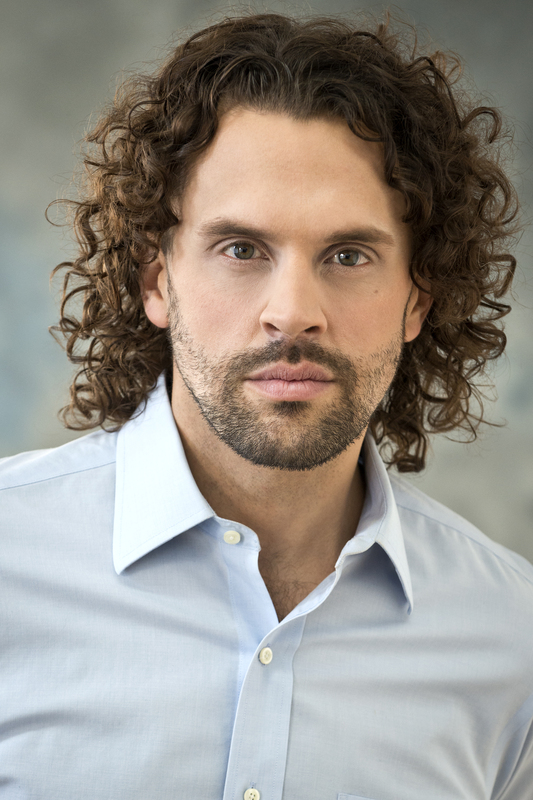 Last season saw the baritone in the world premiere of Missy Mazzoli’s Breaking the Waves with Opera Philadelphia, singing the role of Jan, a role he reprised with Beth Morrison Projects. He also returned to the Metropolitan Opera as Moralès in Carmen, Seattle Opera as Papageno in Die Zauberflöte, the Hyogo Performing Arts Center as Figaro in Le nozze di Figaro, and the Santa Cruz Symphony as Figaro in Il barbiere di Siviglia. In concert he appeared with the Chamber Music Society at Lincoln Center featuring works of Vaughan Williams and Weber. The previous season saw several significant company debuts for the baritone including: Seattle Opera, as Count Almavivia in Le nozze di Figaro; the Bayerische Staatsoper, Adario in Les indes galantes; Florida Grand Opera, Tadeusz in The Passenger; Portland Opera, as Papageno in Die Zauberflöte, and Opera Omaha, as Figaro in Il barbiere di Siviglia. On the concert stage, he appeared at Carnegie Hall with the Oratorio Society of NY under the direction of Kent Tritle, and the Philadelphia Chamber Music Society. The 2014-2015 season saw John Moore return to the Metropolitan Opera stage as Moralès in Carmen, as well as Nachtigal in Die Meistersinger von Nürnberg, and he appeared with their annual Opera in the Parks summer concert series. Additionally, he debuted at the Atlanta Opera as the Conte Almaviva in Le nozze di Figaro and covered the role of Tadeusz in Lyric Opera of Chicago’s production of The Passenger. During the 2013-2014 season, Mr. Moore appeared as Papageno in The Magic Flute and as Fléville in Andrea Chénier with the Metropolitan Opera, Donald in Billy Budd with Glyndebourne at BAM, and Guglielmo in Così fan tutte at Hyogo Performing Arts Center, Japan. He also toured Russia with members of the Metropolitan Opera. In the 2012-2013 season, the baritone returned to the Metropolitan Opera as Curio in Giulio Cesare and Simonetto in Francesca di Rimini, and also returned to the role of Donald in Billy Budd with the Glyndebourne Festival Opera. Mr. Moore’s 2011-12 season featured a return to the Metropolitan Opera as Fiorello in Il barbiere di Siviglia, Yamadori in Madama Butterfly, and Donald in Billy Budd. He was the baritone soloist in the American premiere of Juraj Filas’s Oratorio Spei with Sacred Music in a Sacred Space at the Church of St. Ignatius Loyola under the baton of Kent Tritle. In addition to his recital with Philadelphia Chamber Music Society, Mr. Moore also gave recitals at his alma mater, Simpson College, and at People’s Symphony Concerts in NY. In the summer, he returned to the Des Moines Metro Opera in a role debut as the titular character in Tchaikovksy’s Eugene Onegin. Mr. Moore concluded the season as Count Almaviva in Le nozze di Figaro with Glyndebourne Opera’s touring ensemble in the United Kingdom. In the 2010-2011 season, Mr. Moore appeared as Papageno in the Metropolitan Opera’s English production of The Magic Flute, toured with Musicians from Marlboro, performed in recital with the Brooklyn Friends of Chamber Music, and returned to the Des Moines Metro Opera as Dr. Malatesta in Donizetti’s Don Pasquale. In addition, Mr. Moore took part in a studio recording of Peter Lieberson’s The Coming of Light with CCM. During the 2009-10 season John premiered Lieberson’s The Coming of Light with Chicago Chamber Musicians, sang Abbé Lorenzo in a new production of Argento’s Casanova’s Homecoming at Minnesota Opera, sang Fiorello at the Met, appeared in concert at the Lakes Art Center in Okoboji, Iowa and for the Des Moines Opera Guild, and made his debut at Glyndebourne Festival Opera in England singing Donald in Britten’s Billy Budd. In 2007, he made his debut at the Metropolitan Opera singing Fiorello in Il barbiere di Siviglia. Mr. Moore made his international debut at Welsh National Opera in 2008 singing Figaro in WNO’s acclaimed English Barber of Seville.